Make it the Best on $1500 or Less! Imagine the best family beach vacation of your life, on a budget of $1500 a week for a family of four. Come to Cape Cod MA ... the top beach destination in New England! With more than 100 beaches for your family to explore and enjoy, you'll soon see why the world-famous "Dr. Beach" regularly highlights Cape Cod on his Top 10 Beaches in the USA list! Of course, our salty shoreline isn't the only thing that draws visitors to Cape Cod from far and wide each summer. Bike rides and beach bonfires. Kite flying and kayaking. 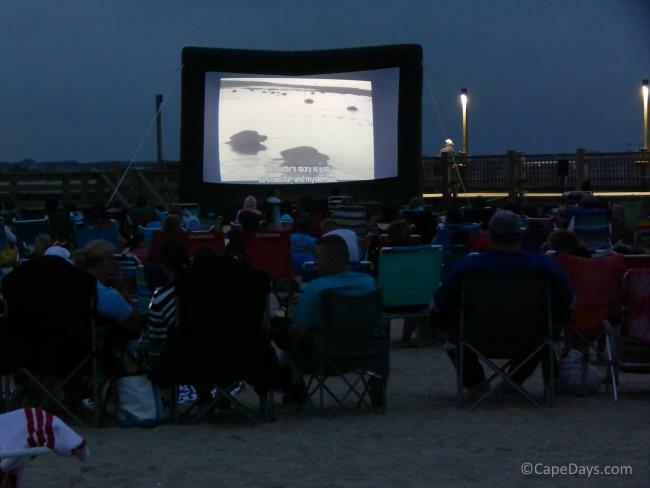 Lighthouse tours, seal spotting, concerts in the park. And that's just a fraction of the fun you'll have during your week on Cape Cod! 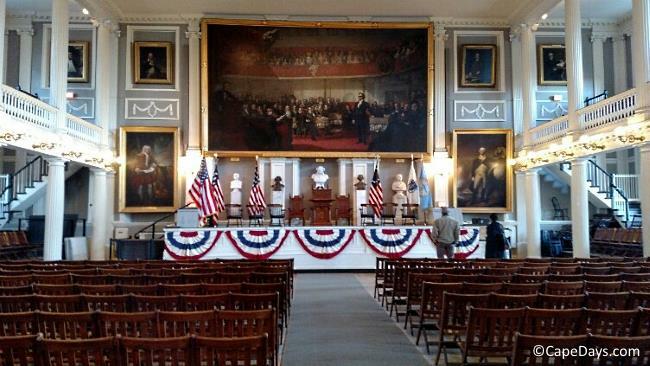 Let me show you some ideas for a fantastic Cape Cod family vacation that won't break the bank. For this sample vacation itinerary, I've picked the town of Dennis as "home base" for the week. When you're planning your own getaway, choose any town that suits your fancy. 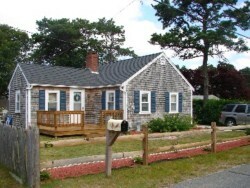 You'll find plenty of affordable lodging, dining, activites, and entertainment all over Cape Cod! Note: This sample budget is for a family of four (2 adults, 2 children). Activity cost estimates are based on admission for four people over the age of 12. When you're trying to stick to a budget without sacrificing comfort and convenience, a vacation rental is the best of all worlds. Much-needed "personal space" for adults and kids. A kitchen for quick breakfasts and midnight snacks. A safe place to stash your bikes and beach toys. And somewhere comfy to hang out on a rainy afternoon. With a stove, a fridge, and an outdoor grill at hand, it's easy to eat well without spending a ton of money. Make a quick stop at the grocery store when you get here. For $100 (or less) you'll be able to stock up on the basics and lay in some hamburgers, hot dogs, and chicken for dinners on the grill. 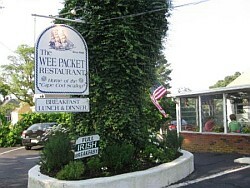 Wee Packet Restaurant (79 Depot Street in Dennis Port; $-$$) is a favorite with locals and visitors alike for its friendly atmosphere and extensive breakfast, lunch and dinner menus. For the young diners, all kids' meals come with a serving of Wee Packet ice cream and a Lucky Bag. Sesuit Harbor Cafe (357 Sesuit Neck Road in Dennis; $-$$$) is one of the coolest Cape Cod waterfront eateries. At Sesuit Harbor Cafe, there's no indoor seating. Instead, patrons chow down on lobster rolls, fresh fish, and all sorts of non-seafoody fare from picnic tables overlooking Sesuit Harbor on Cape Cod Bay. Fun and yum! Sundae School (381 Lower County Road in Dennisport; $) is a family beach vacation institution! After a day in the sun, there's nothing like an ice cream cone or gooey sundae to top off the day. 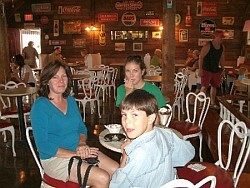 And Sundae School's old-style ice cream parlor ambiance adds to the flavor! 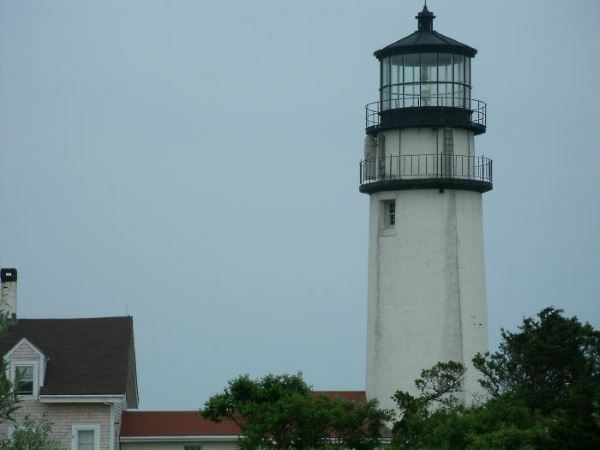 One of the best things about a family beach vacation on Cape Cod is that there's so much to see and do here, at little or no cost. FYI: When we have friends with kids come to visit, we agree to limit our total entertainment budget to $150 for the week. By combining lots of free activities with a few special ones, we always stay well within budget. 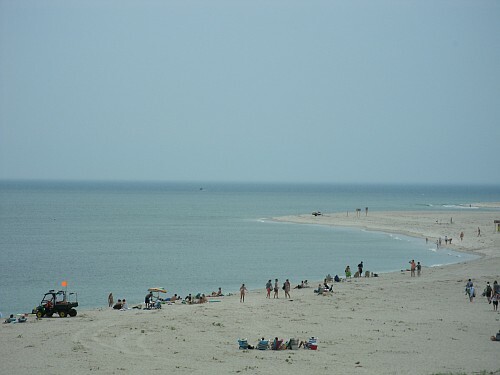 There are 16 saltwater beaches in the town of Dennis alone. That's enough to keep any beach-loving family happy for days on end! Parking passes are $20-25/day or $75 a week. 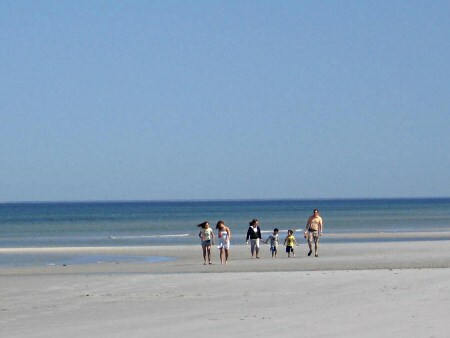 The pass is good for its duration (day/week) at most of the town's beaches. If you walk or bike to the beach, no fee or sticker is required. 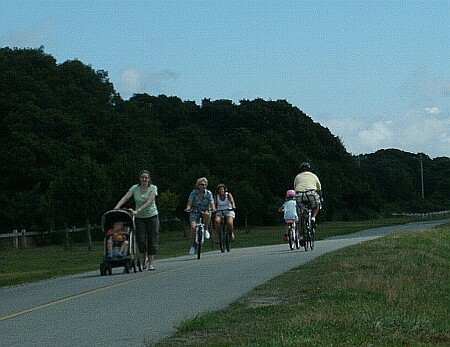 Cape Cod is blessed with a network of some of the finest bike paths in the USA. 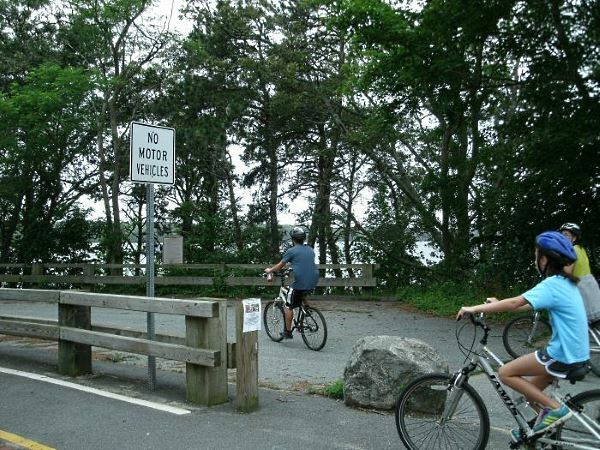 Pick a section of the 22- mile long Cape Cod Rail Trail bikepath to explore. 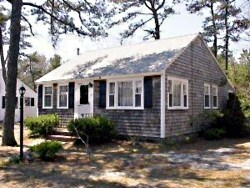 You'll pass through towns and woodlands, past cranberry bogs, historic sites, and water views. Most of the Trail is flat, easy to ride, and there are plenty of places to stop along the way for a rest, a bite to eat, and even a quick dip in fresh or salt water. Bring your bikes and the day's adventure is free. Rentals begin at about $20 a day for adult-sized bikes. One of the coolest things about living - or vacationing - by the sea is catching your own seafood dinner. Whether you're craving sweet blue crab, striped bass fillets on the grill, or a big bucket of succulent steamed clams, it's all here for the catchin' during the summer months. 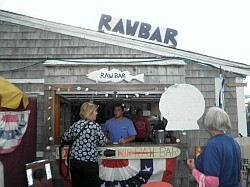 Get into the Cape Cod "catch and cook" spirit. It's a fun day for the whole family! 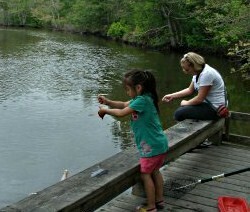 Fishing licenses are available online, and clamming permits are available at the local town office. Crabbing is free - no license is required.